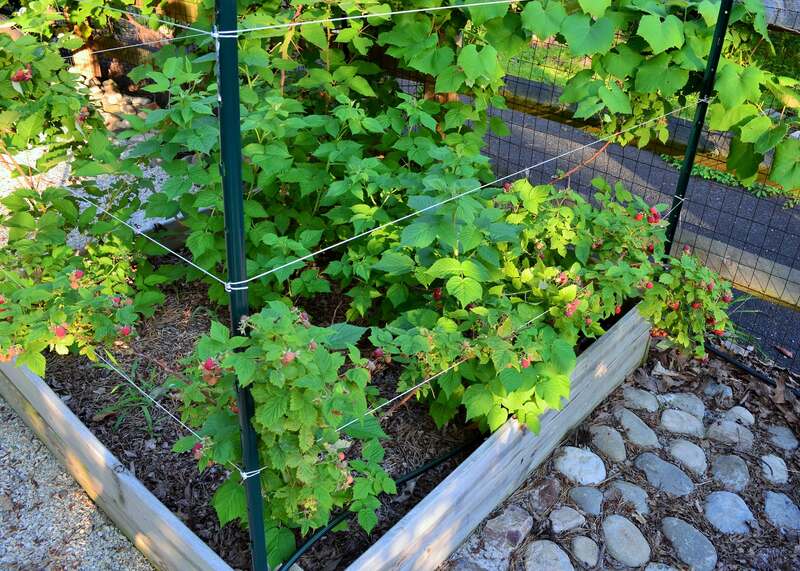 You are here: Home / Landscape / Garden Week 11: Yummy Raspberries! 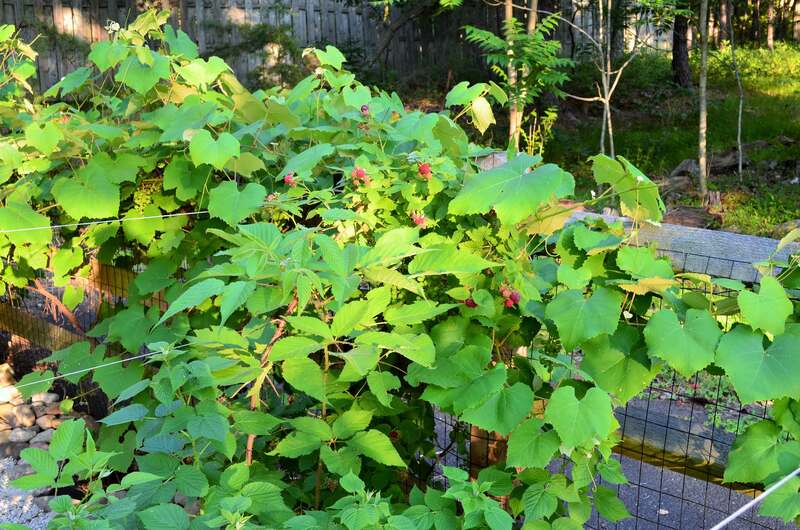 We started to see a few raspberries last week, but boy have they taken off this week. OMG. 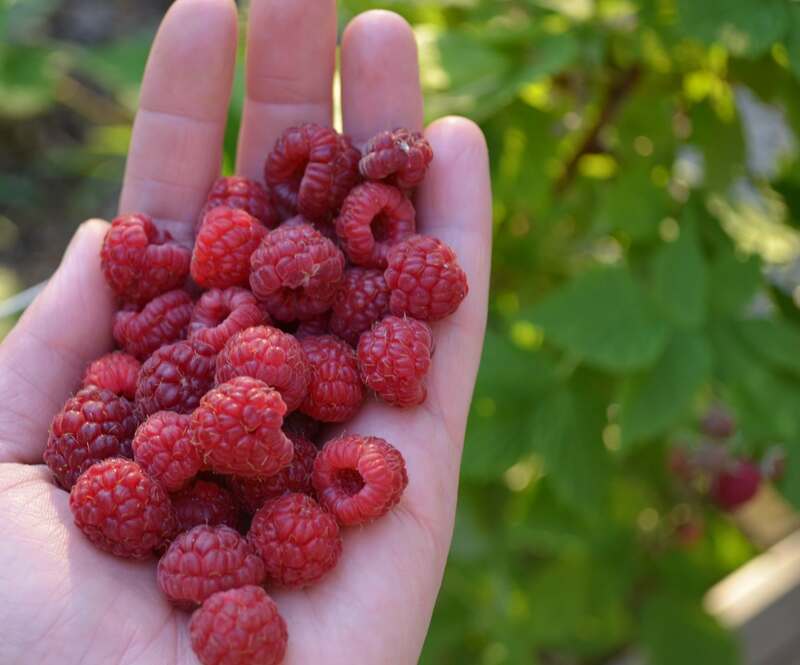 More than I can pick at one time, which is awesome, because my family LOVES raspberries. Who doesn’t, right? Actually, there are some weird people out there, but hey, that’s just more raspberries for me. 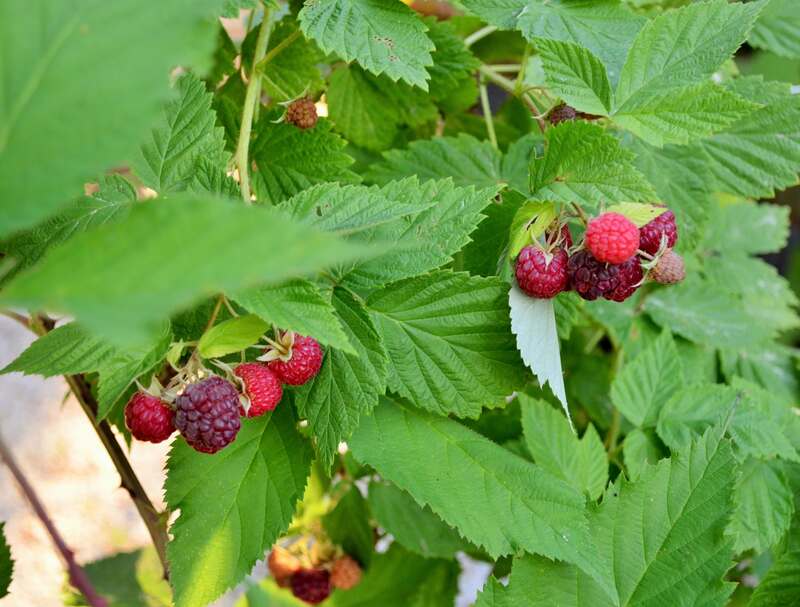 I did a little experiment to see if the raspberries would grow better in one of the raised garden beds I have, as compared to growing wildly behind my shed. Well wouldn’t you know it, they are do much better in the raised bed. It might just be because it’s sunnier there, but either way, I am happy to be enjoying the extra berries! Check out the Week 5 post to see what it looked like before I added the stakes to hold up the raspberries. 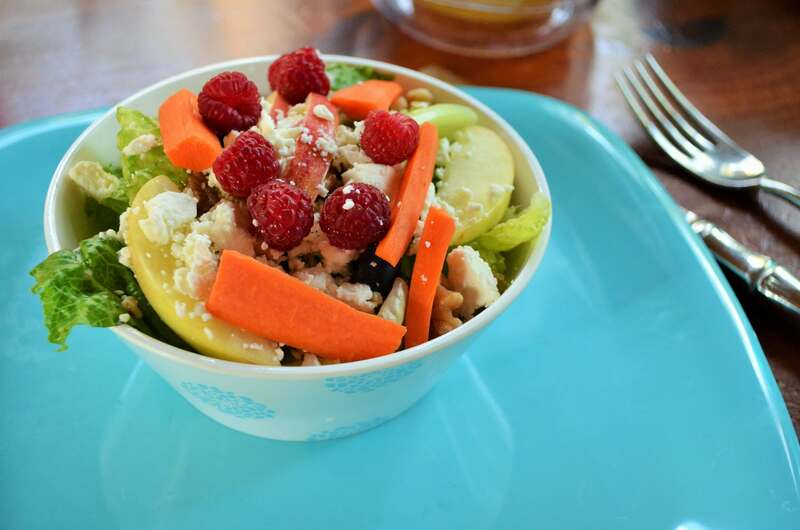 I even had some of the raspberries on my salad tonight! Yum! 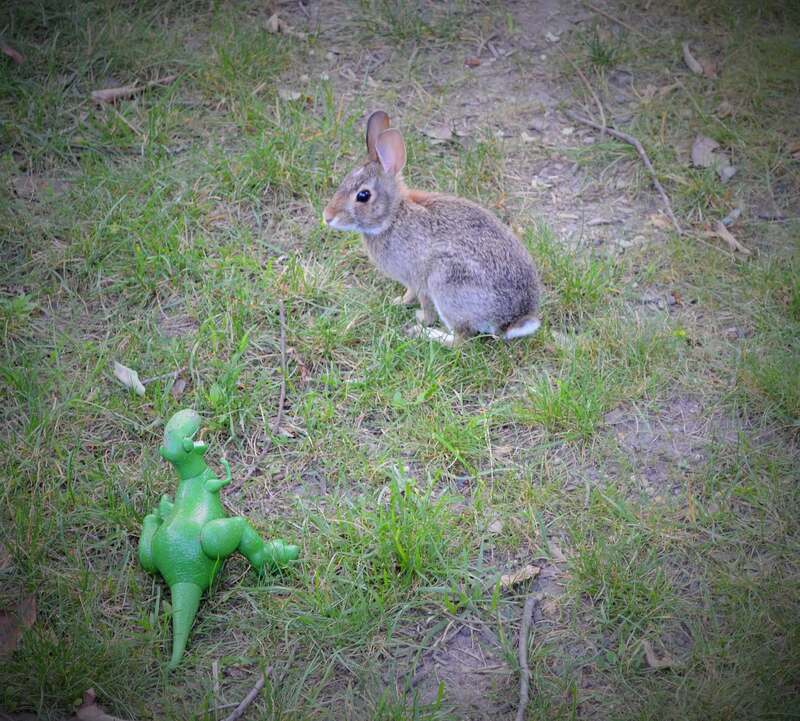 Elsewhere in the yard I found a bunny hanging out with a dinosaur. I still can’t grow ivy to save my life. 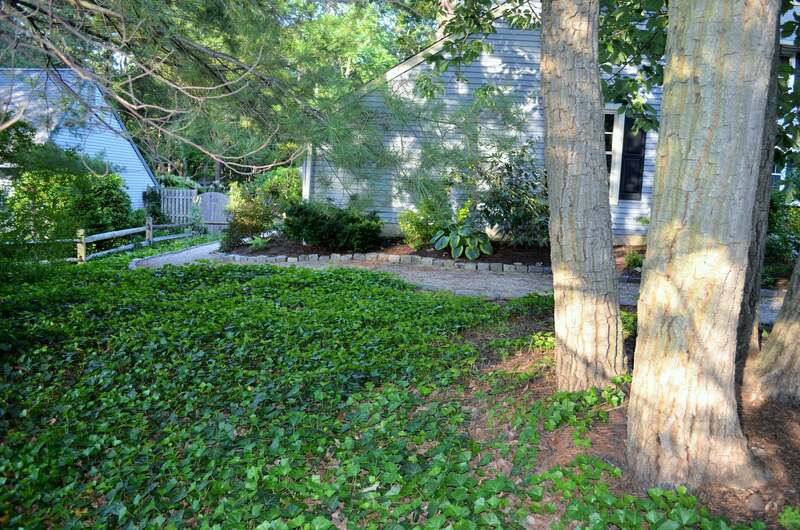 This is the view from the street toward the garage, but even after years the ivy hasn’t made its way past the trees. I’m hoping that the loads of composted horse manure actually help. 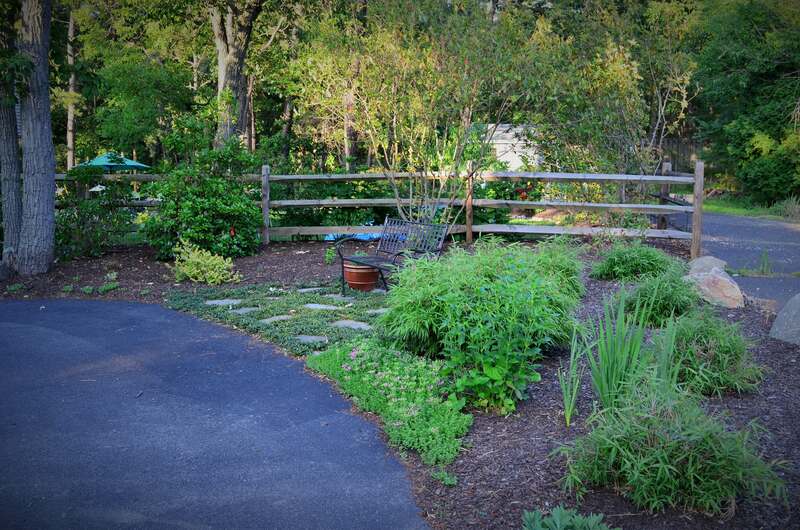 I’ve also cut and transplanted the ivy that grows over the pathway. I’m not always so good at watering it though. Oops. 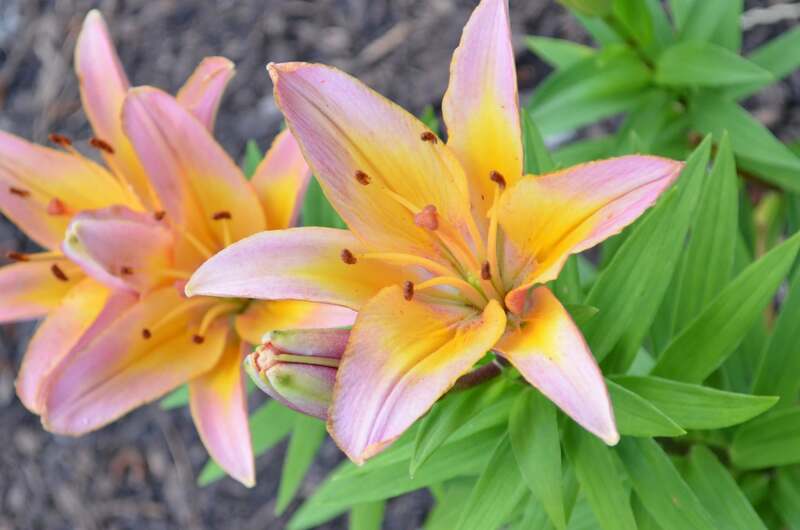 But my lilies are doing well. 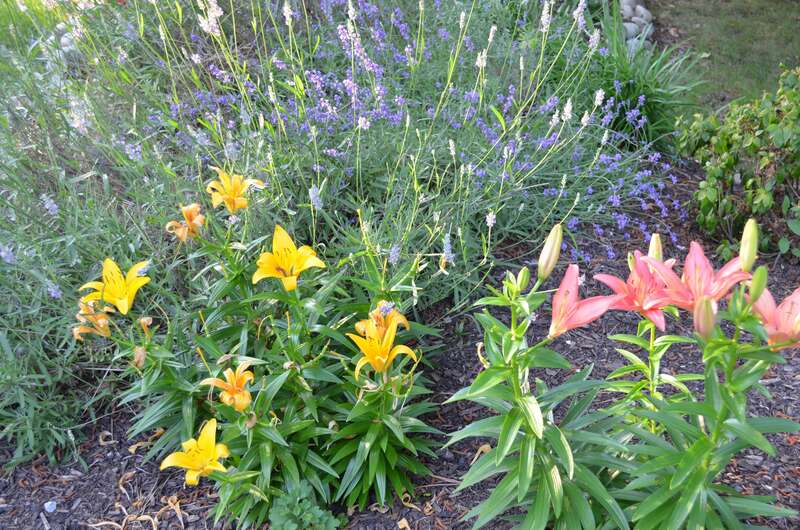 I had moved some from the backyard near the rain barrel to the front yard, and both groups are doing well today. 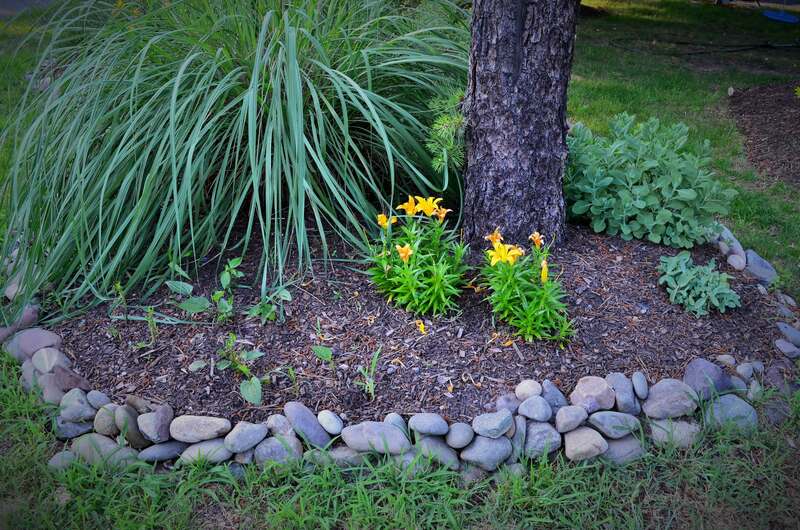 Next to these lilies I transplanted some lazy susans from elsewhere in the yard. 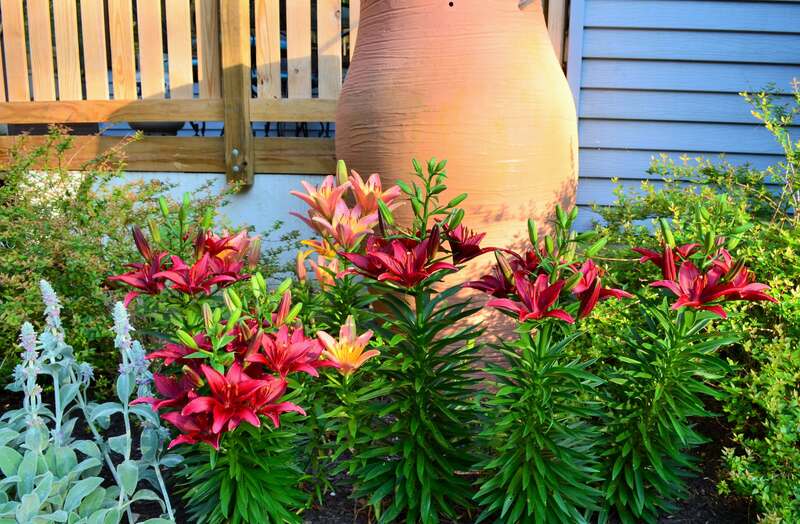 They haven’t bloomed yet this year, but check out THIS POST from last year to see them in action. My hydrangeas along the left side of my house are just starting to bloom, and I can’t wait to see them in all their glory! 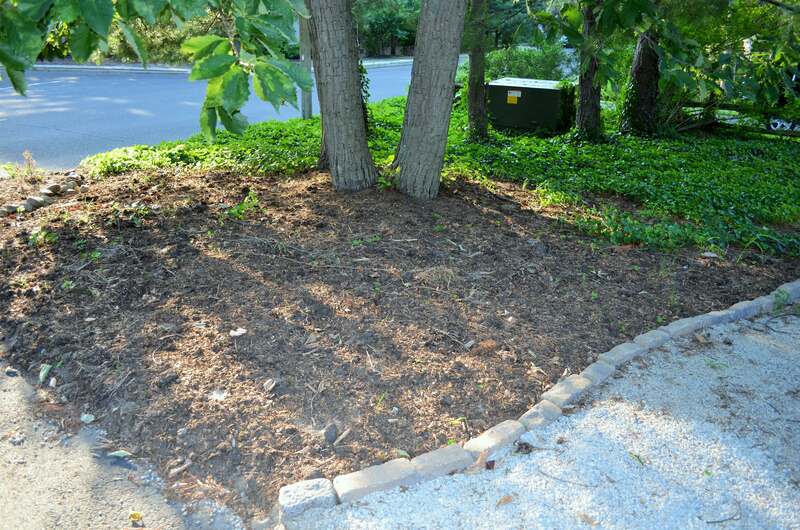 And here’s a shot of the right side of the front yard, you know, for good measure. You can barely see our 10’x30″ Intex pool behind the fence. I love that! « Outdoor Shower – Why Not?